6th year students from St. Brigids Secondary School Killarney attended a Chemistry Spectroscopy Workshop held in the school on the 7th of January 2019. 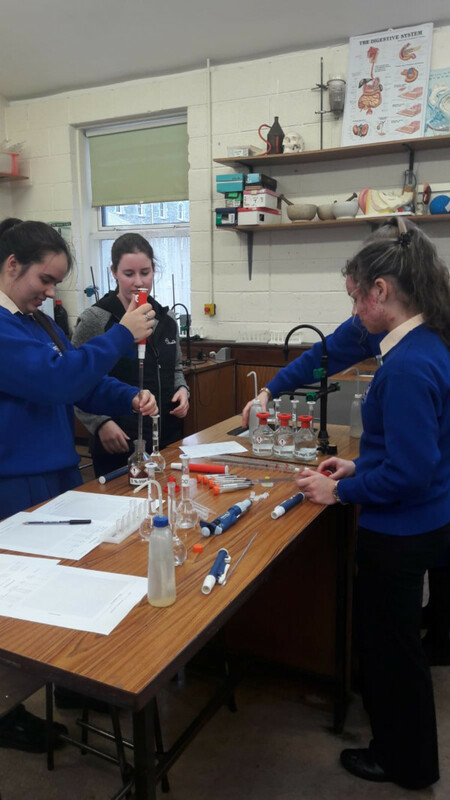 Three post-graduate Chemistry students visited the 6th year chemistry class to demonstrate the use of specialised equipment used in forensic analysis. It allowed the girls to use very expensive equipment to investigate a mock crime. The UCC team were also on hand to answer questions on chemistry and other sciences in UCC.